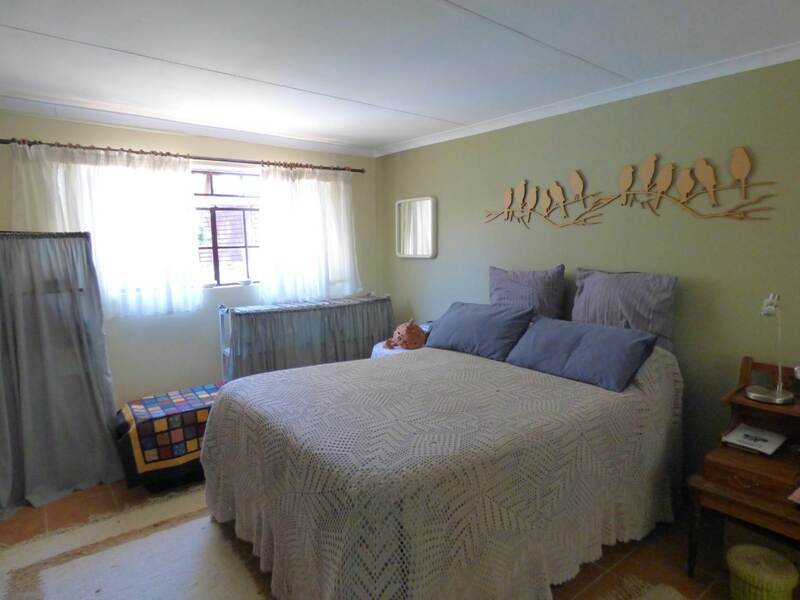 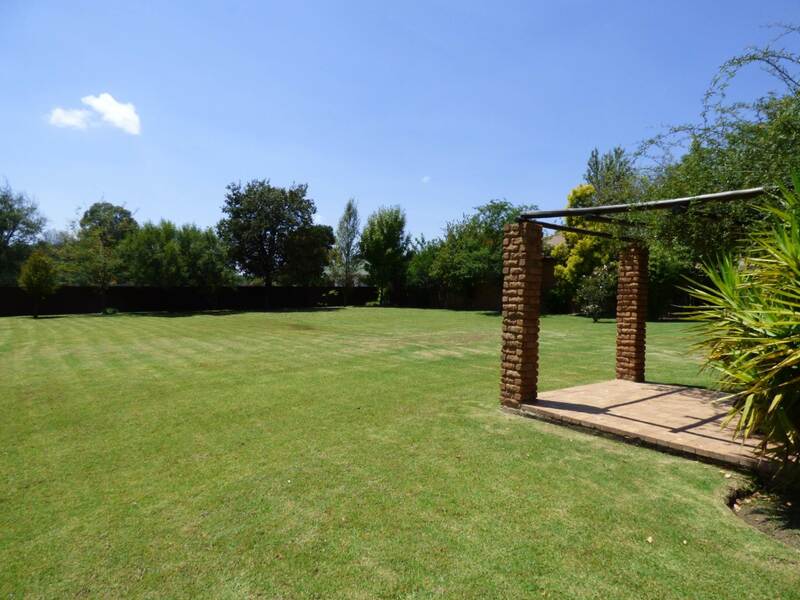 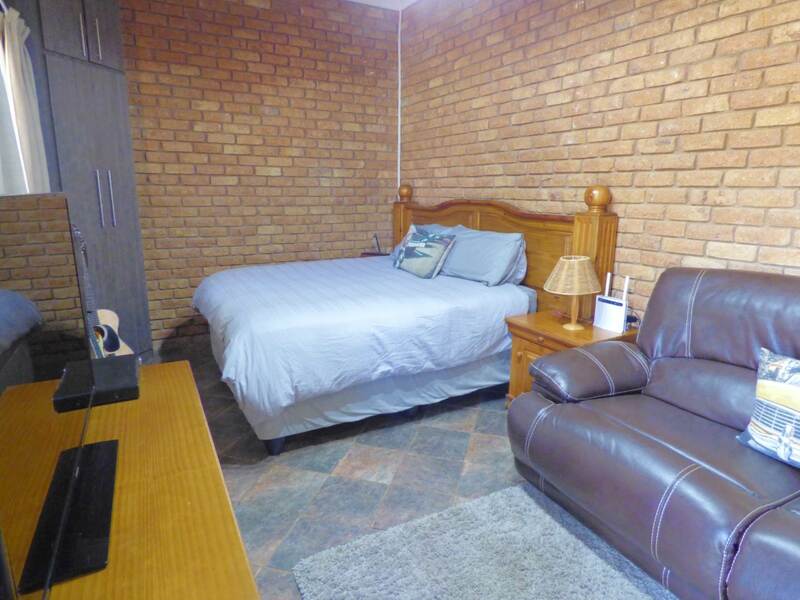 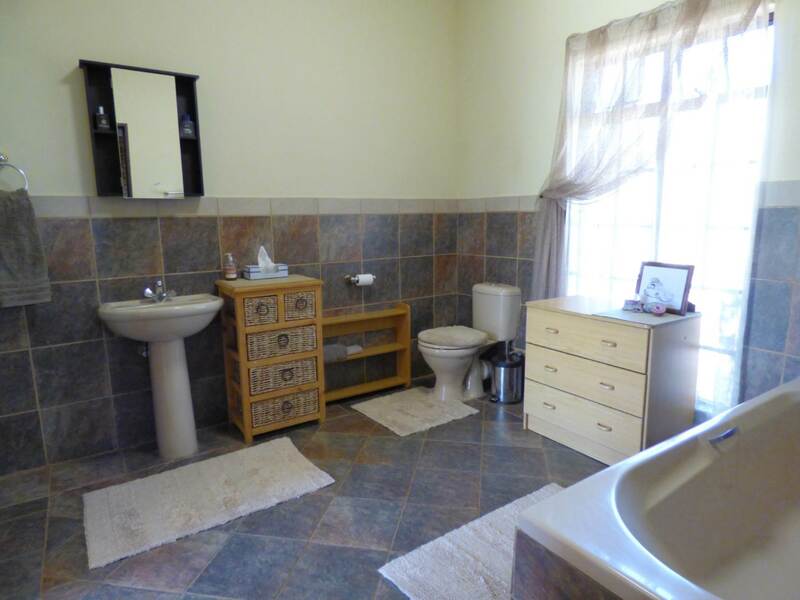 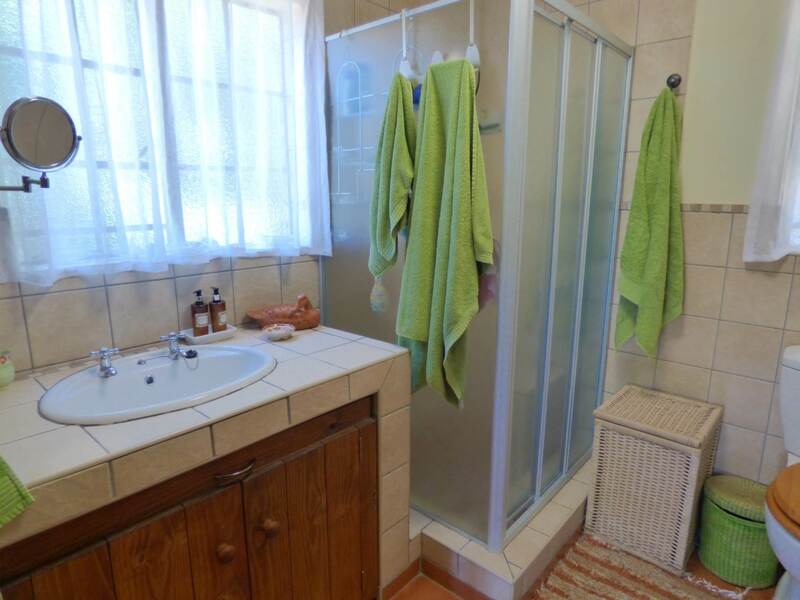 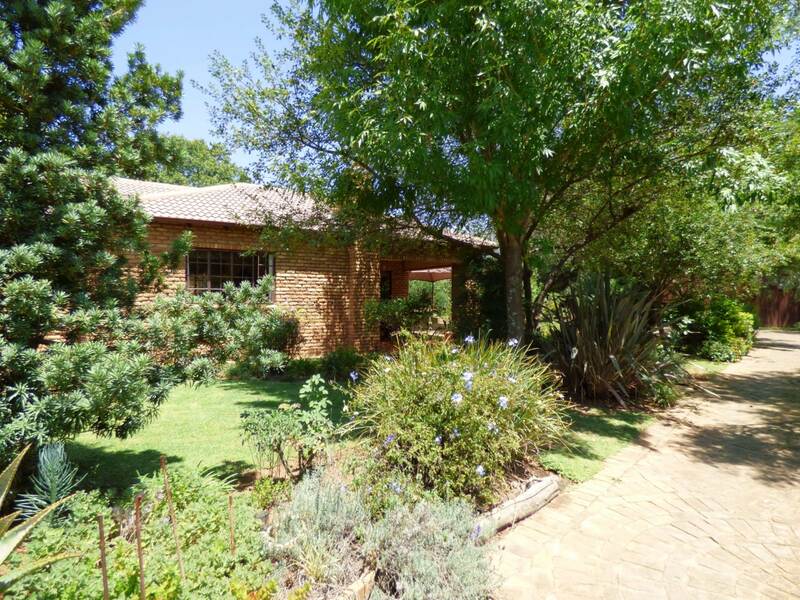 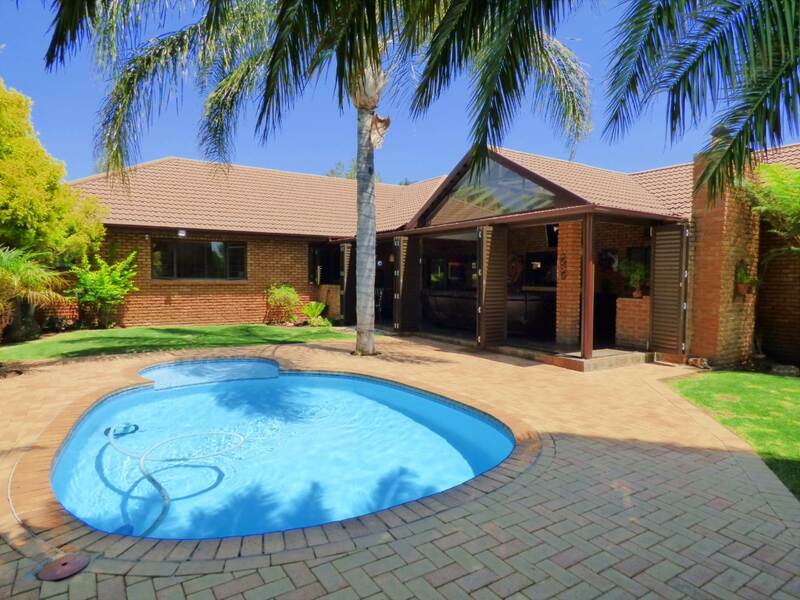 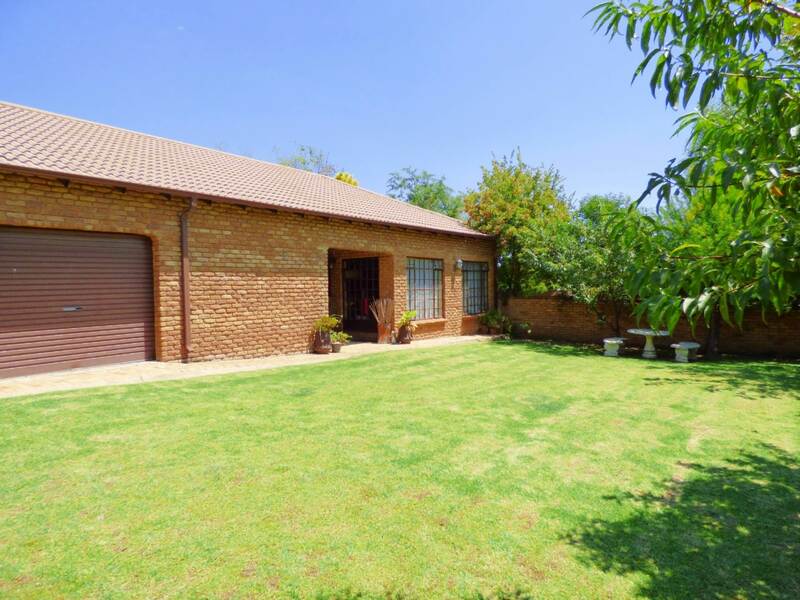 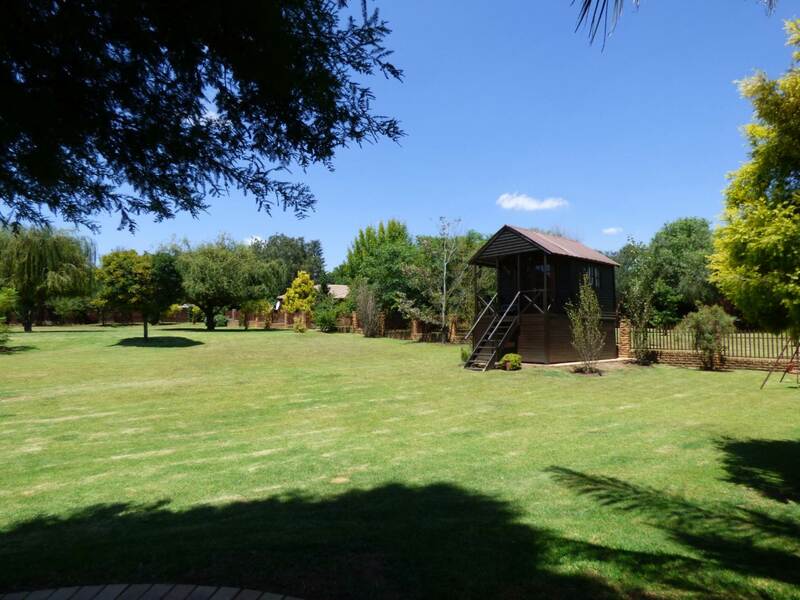 Located in upmarket Benoni North Agricultural Holdings, so close to amenities and excellent schools, but in a peaceful country setting, this property has it all… three facebrick, low maintenance dwellings, all well located to ensure maximum privacy and comfort. 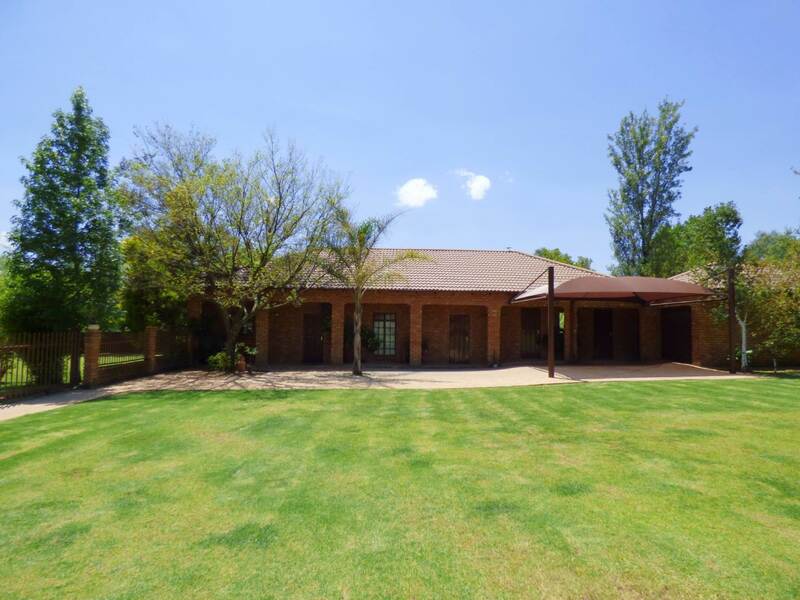 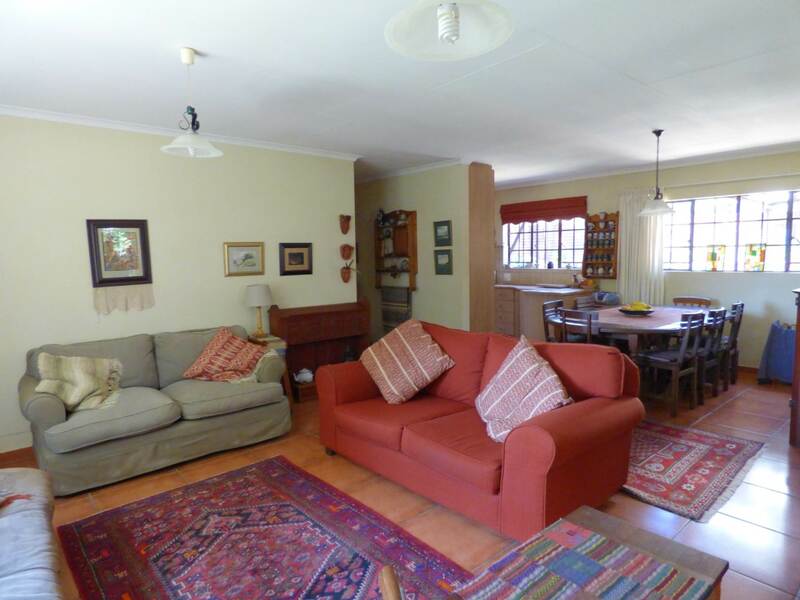 MAIN HOUSE (+/- 430m2): from the front door, enjoy the expansive feeling of the open plan, tiled living areas - lounge with fitted gas fire place, dining room and elegant bar. Fully fitted study with two work stations. 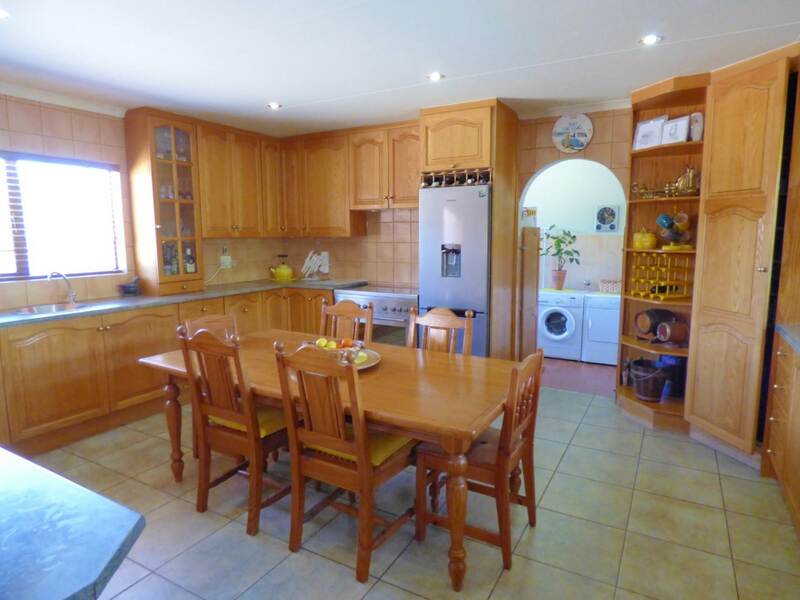 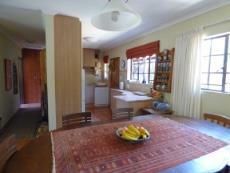 A classic kitchen with gas stove and solid oak cupboards, which easily accommodates a 6 seater table for family meals. 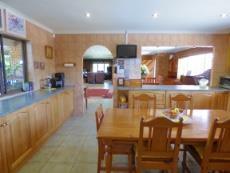 A window opening onto the entertainment area ensures the chef doesn’t miss out on the fun! 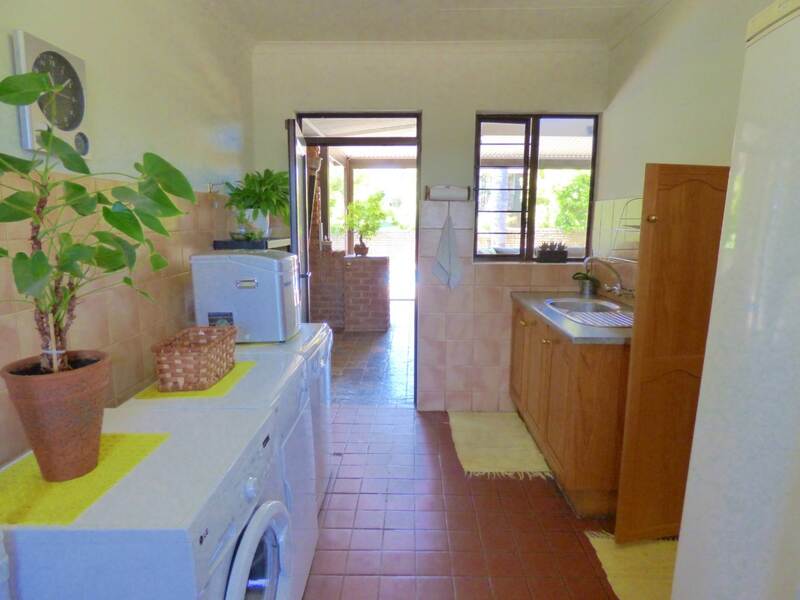 Large separate scullery / laundry. 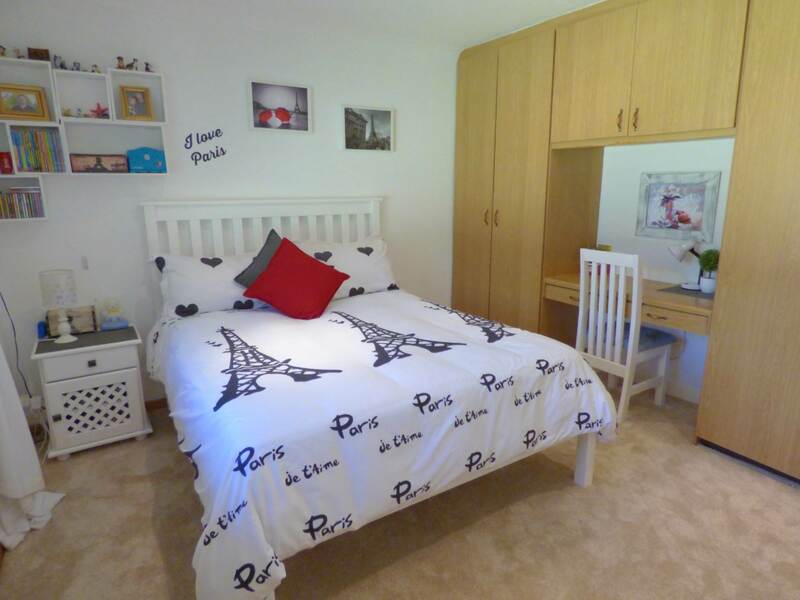 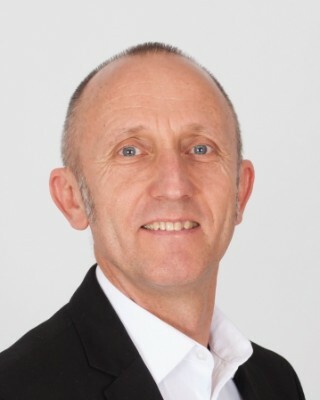 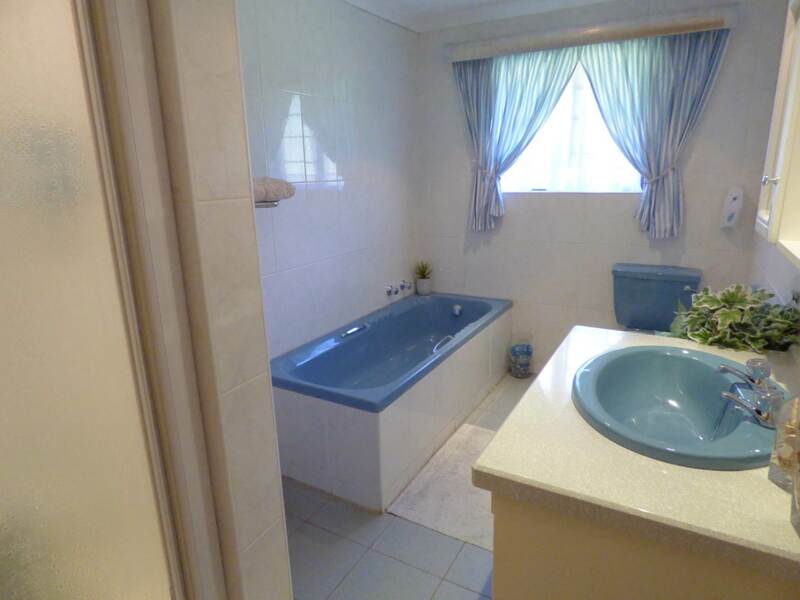 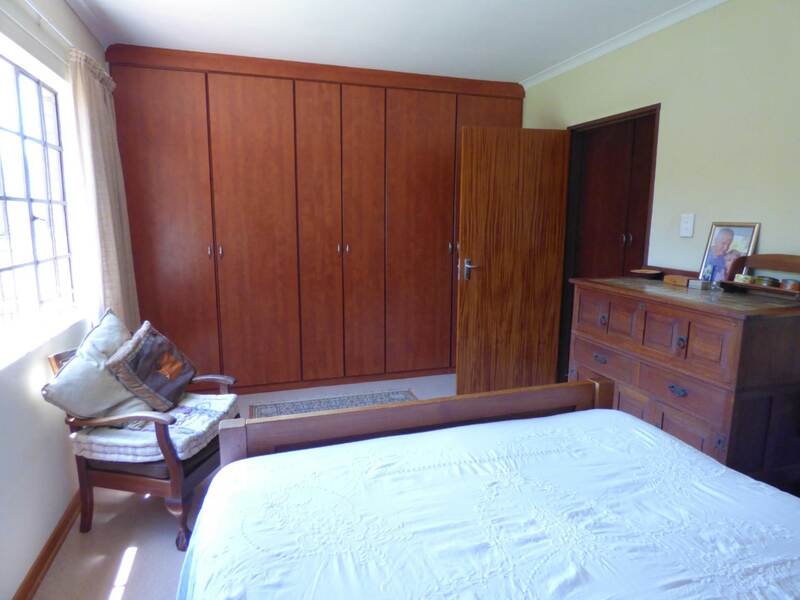 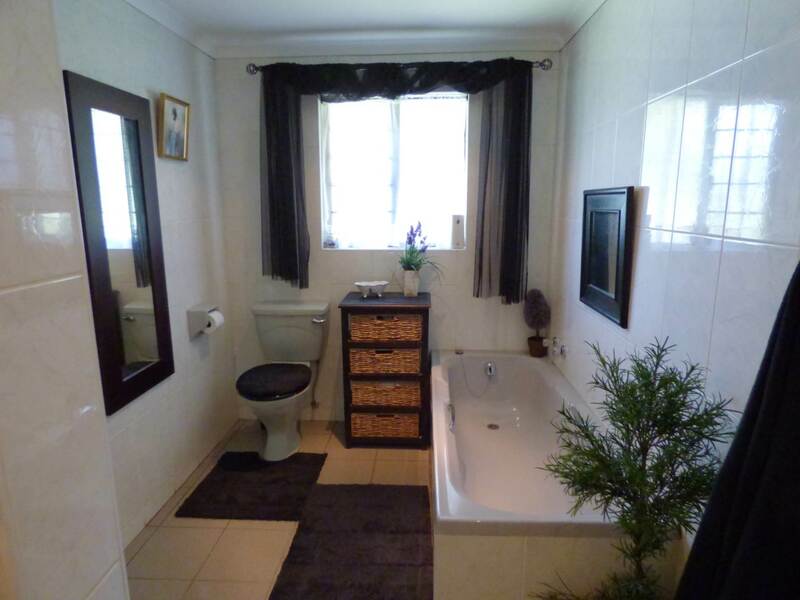 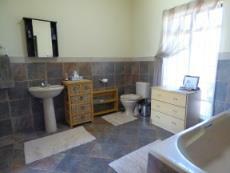 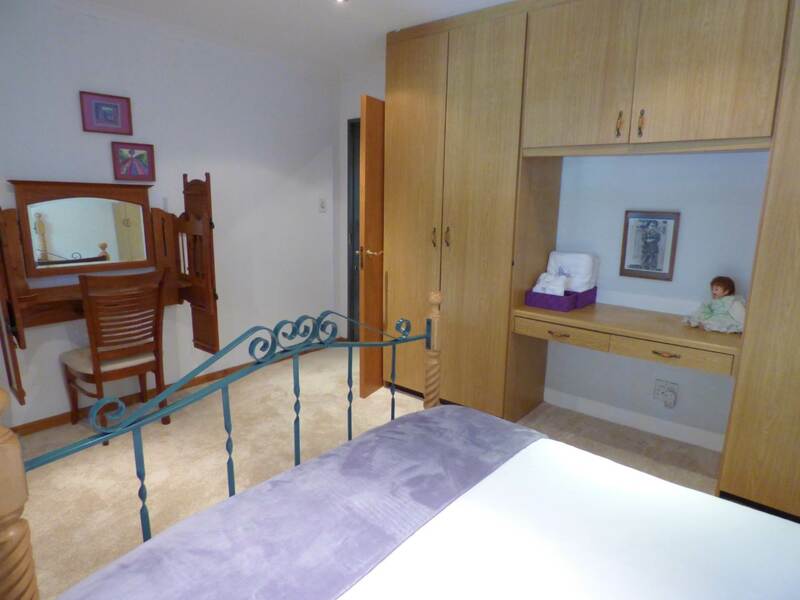 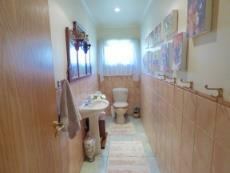 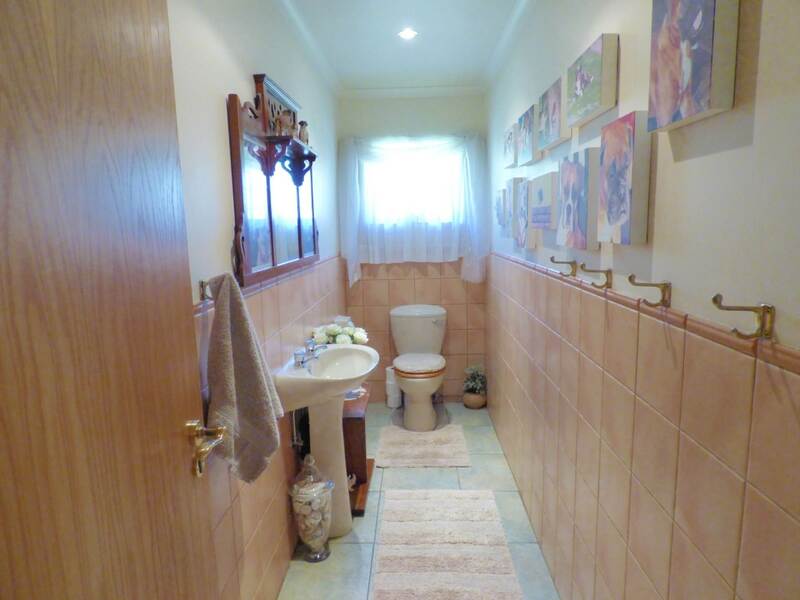 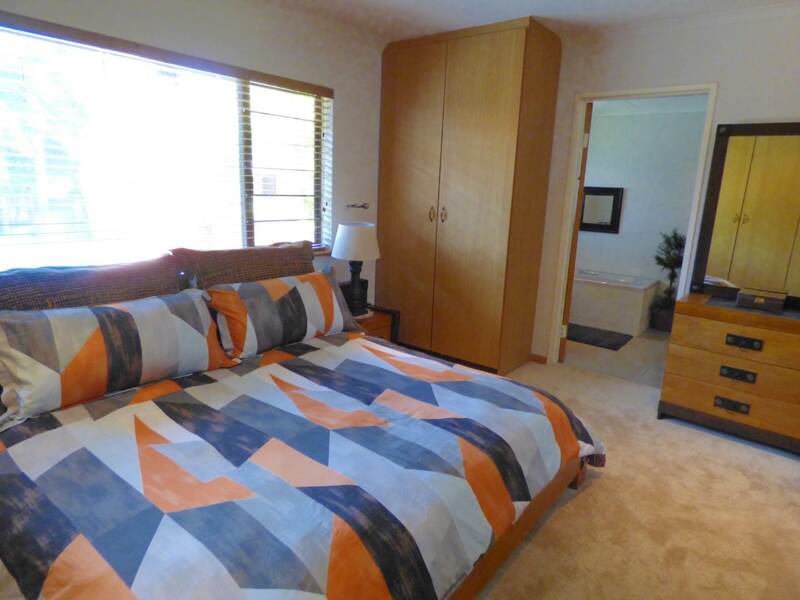 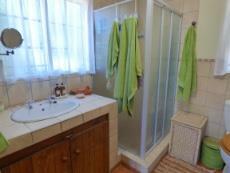 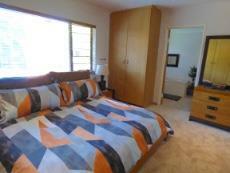 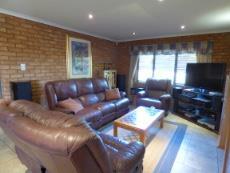 Four good sized, newly carpeted bedrooms and two full bathrooms (main en-suite). Guest bathroom. 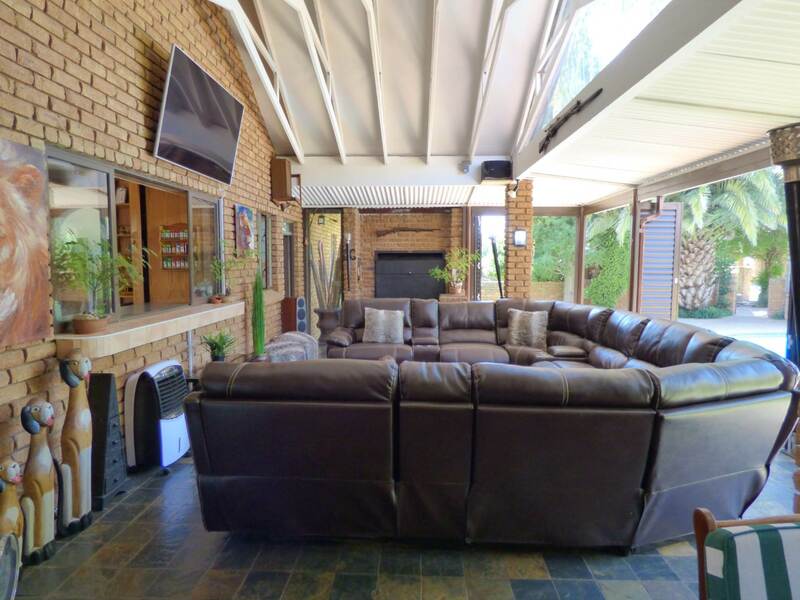 The entertainment area / family room is really something special and unique - a large, airy space with a high ceiling and exposed beams, accommodating a seating and dining area, and complete with gas / wood burning braai, opening onto the sparking pool. 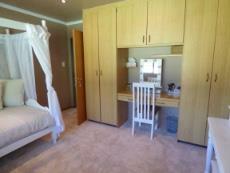 State of the art Trellidoor stackable shutter doors ensure safety and comfort all year round. 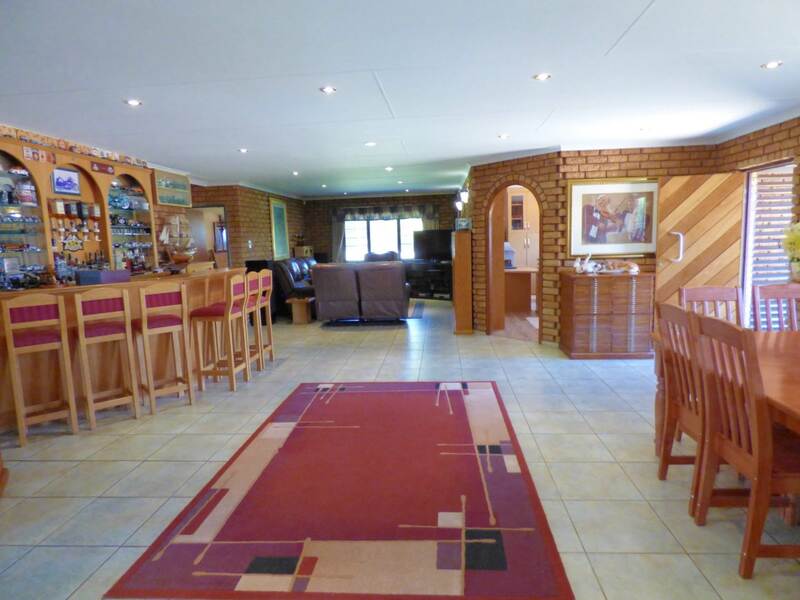 5 Automated garages, some with direct entry to the home, and caravan doors. 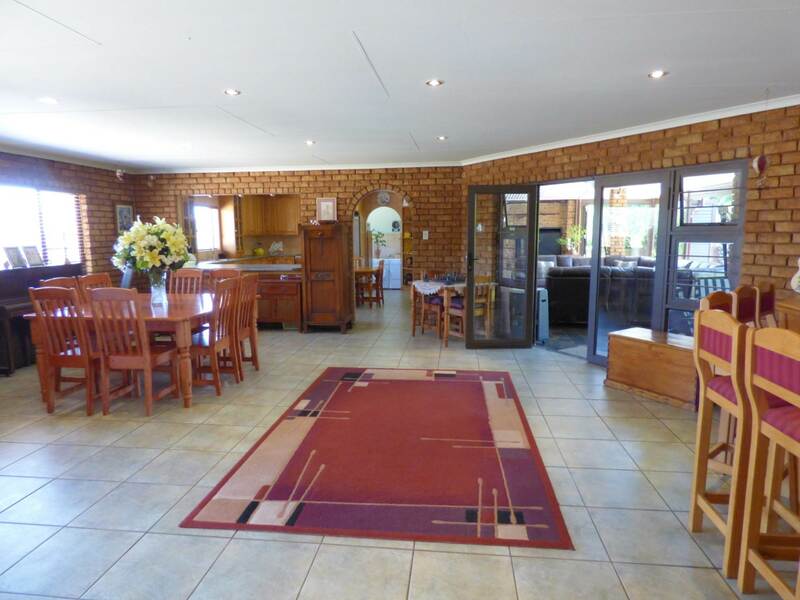 3 Carports. 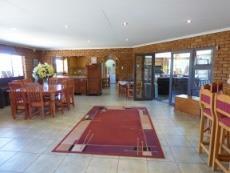 Loads of parking for visitors. 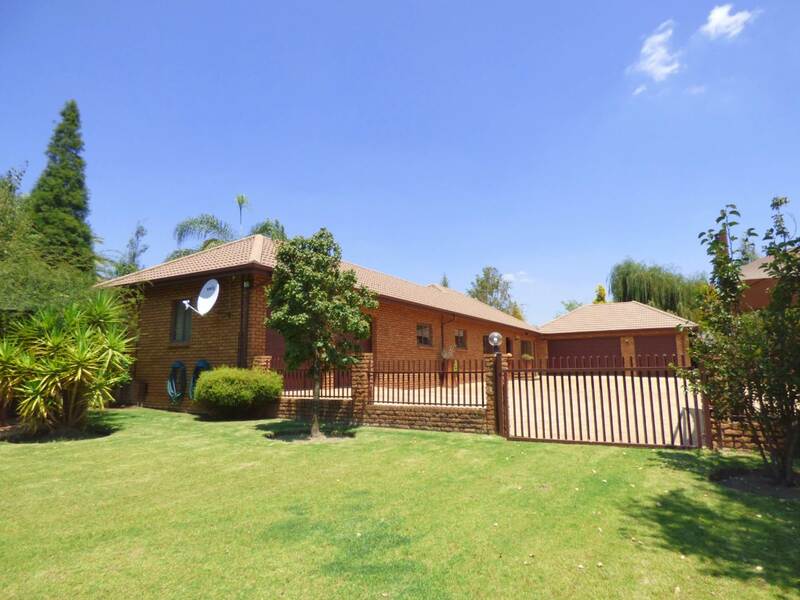 SECOND DWELLING (+/- 321m2): enjoying a separate entrance, this gorgeous home offers an open plan lounge, dining room and modern kitchen, two large bedrooms and one bathroom. 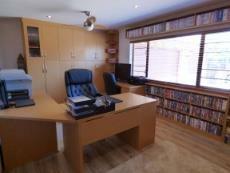 Study and storage areas. 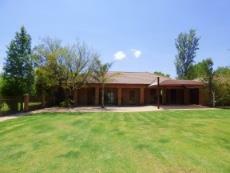 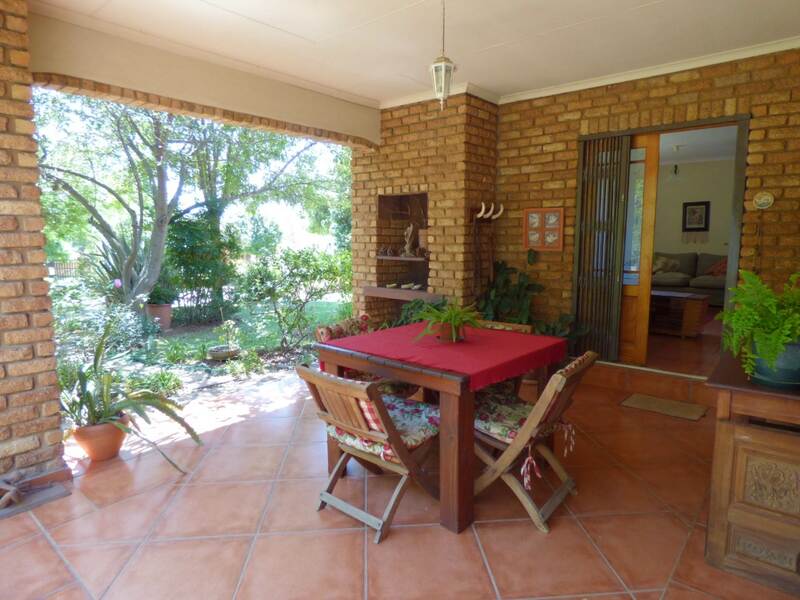 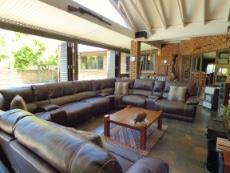 Enjoy the tranquility and lovely views from the covered patio with built-in braai. Pretty, enclosed back courtyard. 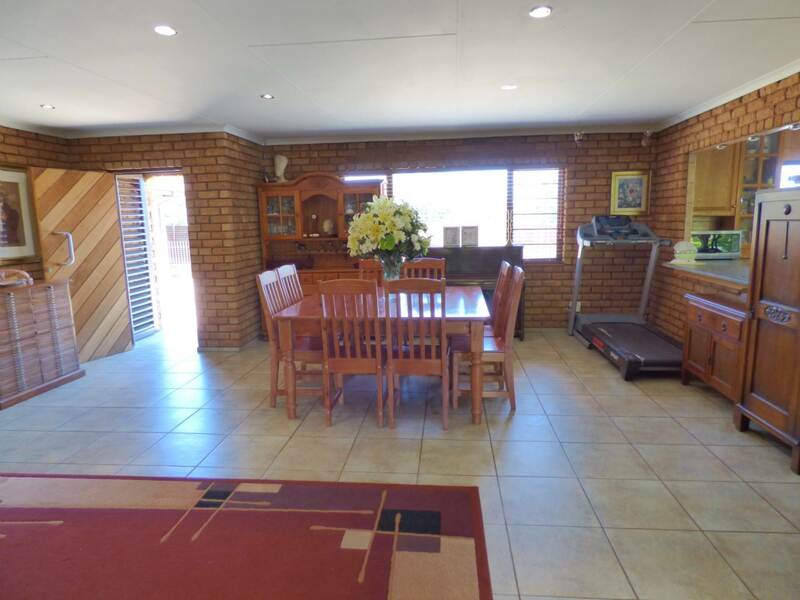 Double automated garage and double carport. 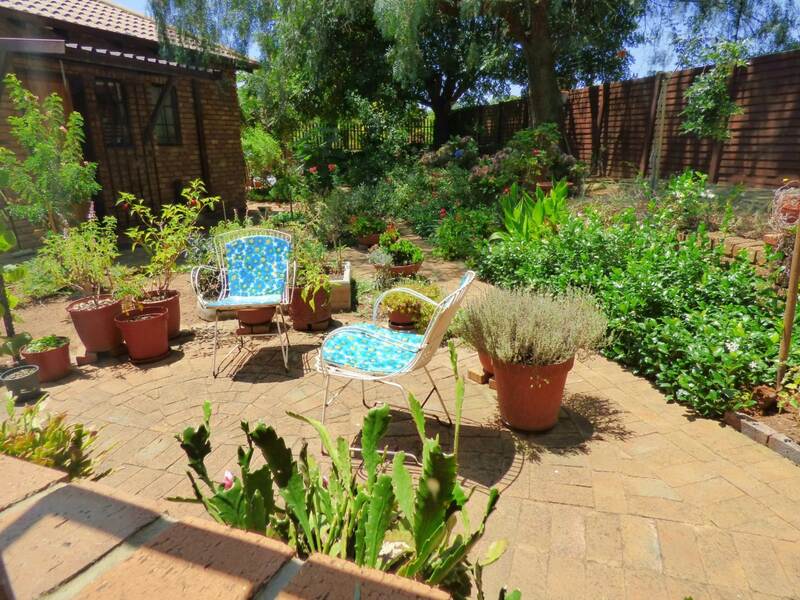 THIRD DWELLING (+/-260m2): an ideal teenage pad, work from home space, or easy conversion to full home, this consists of a large bedroom, bathroom and living room onto private garden. Covered patio. 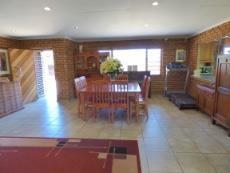 Single garage and carports for 3 cars. STORAGE / WORK SPACE deluxe - big storeroom or workroom, one small storeroom and 3 prior stables now used as storerooms. 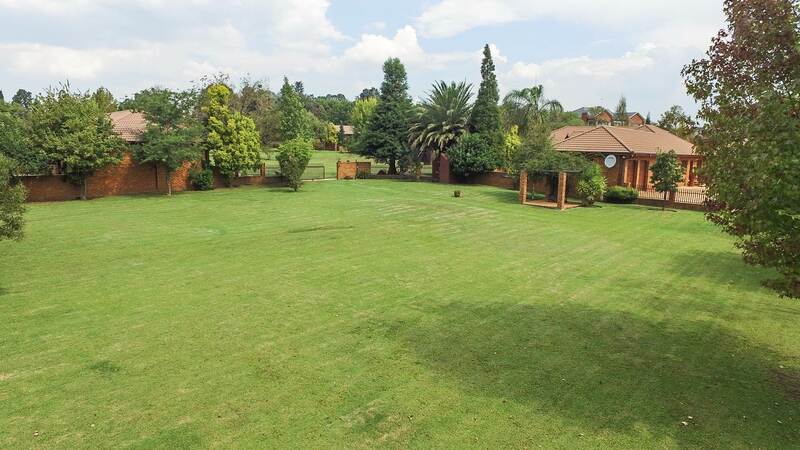 FEATURES: Superb security with electric fence, CCTV, alarm system and day / night sensors. 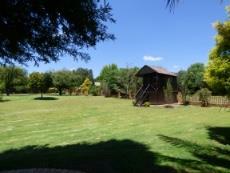 Underground water tank, awesome wendy house for the children, generator, 3 phase power, ceiling insulation and so much more! 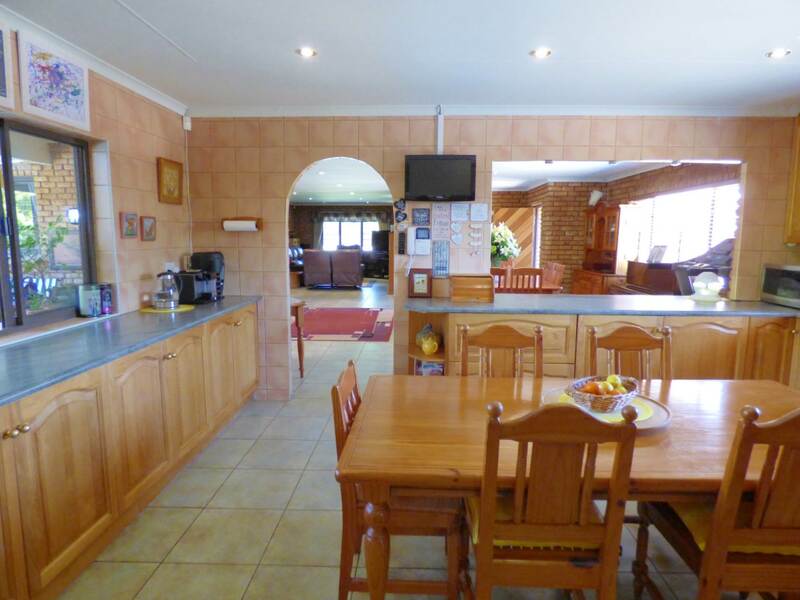 A homestead for generations to enjoy and make lasting memories…. Call now to secure your private viewing.